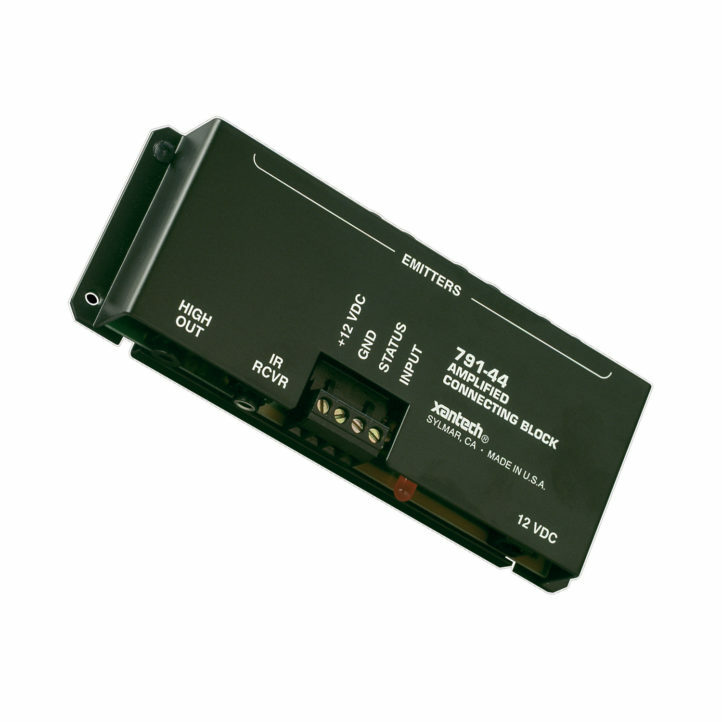 The JCBA1 is a connecting block that connects and powers the IR-sensor and IR-emitters. It also features a quick-connect stereo mini-jack. The JCBS connects up to ten emitters.